Let’s face it, we’re a city that loves to brunch. We can’t afford houses because we spend so much on avocado toast, so we push our crippling debt to the back of our minds, order the waffles and eat away our woes. 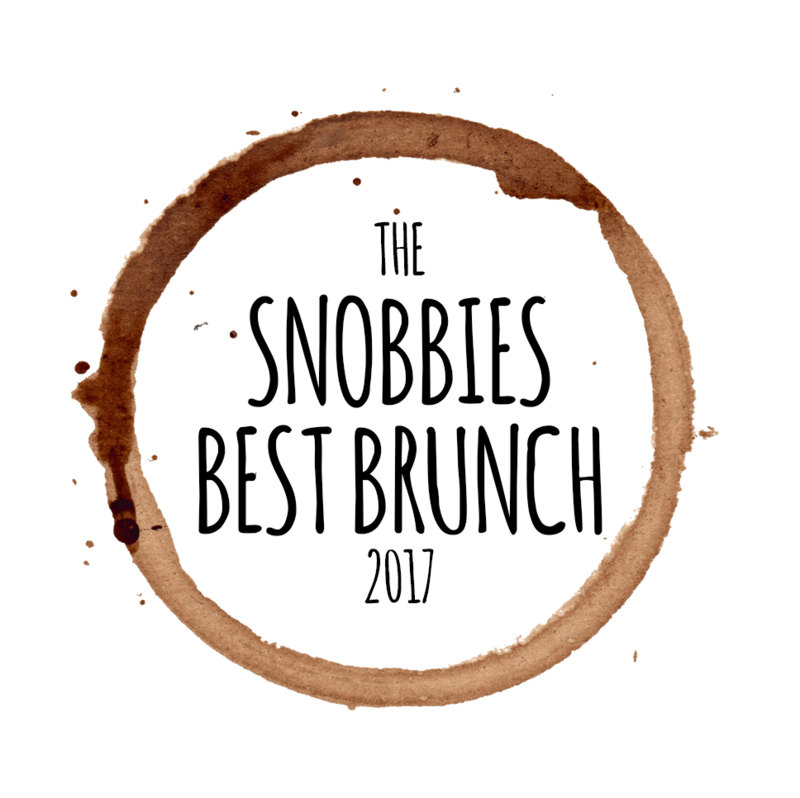 In our 2017 survey, we asked you all to tell us the 10 best Vancouver brunch spots of 2017. It’s important to note that we’ve excluded any that have awful coffee because no one wants an amazing eggs benny with a thermonuclear temperature latte. Oh, and whoever voted for McDonald’s needs to rethink their life choices. Well, aint this a turn out for the books! Spade has been open for approximately 42 seconds and already gets a ton of votes! Rest assured, we checked for shenanigans, but we’re confident that the people have spoken about Sammy Piccolo’s new breakfast, lunch and dinner spot… and they love it! Amazingly impressive to be included on the list after such a short time being open. 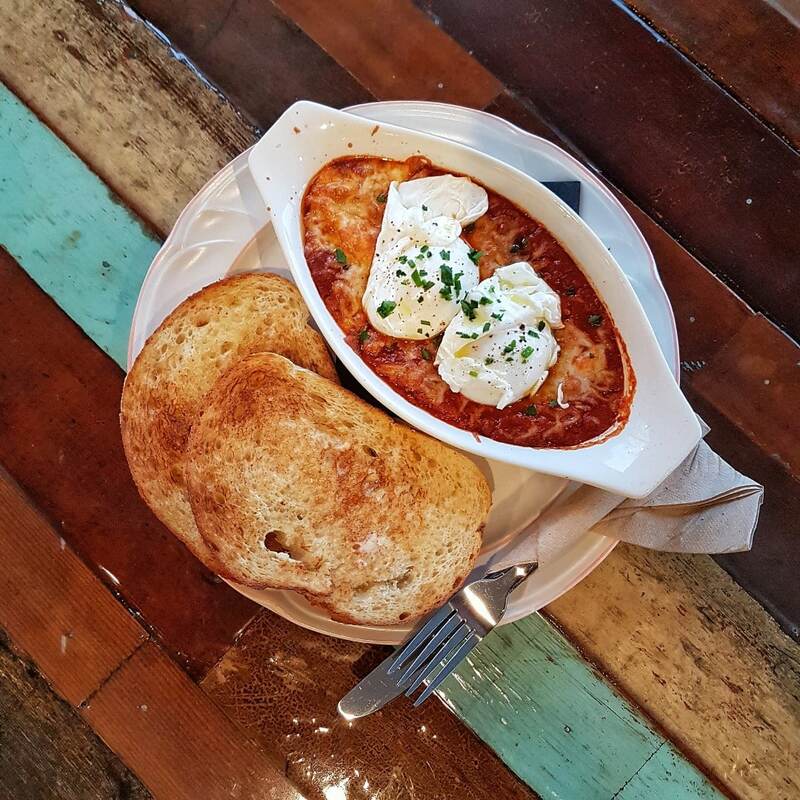 Try: Their Sammy breakfast sandwich or their Eggs in Purgatory (pictured). Coffee is a custom selection roasted by 49th Parallel. At any day of the week, at any time, you’ll find a line for Medina, that is how popular this place is. 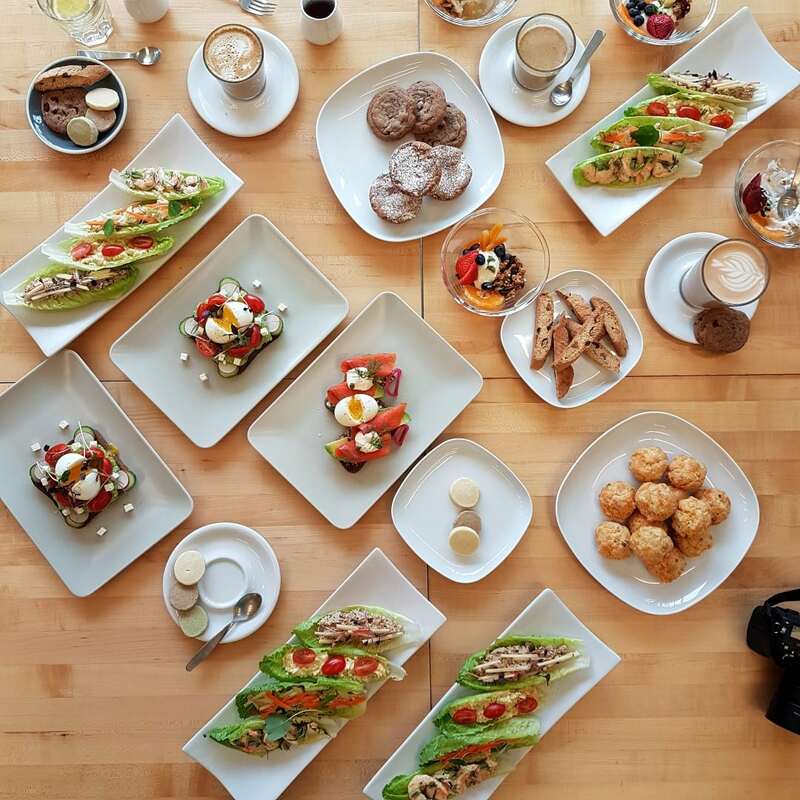 Serving up a high-end selection of Moroccan/North African themed dishes, Medina brunches are spicy, decent sized and accompanied by great coffee from 49th Parallel. Try: Their paella or the lamb tagine. Famed for their gourmet donuts, you may be surprised to hear that they have a decent brunch menu too. A particular highlight is their egg burger, served up with your choice of avocado or bacon. Or stick to their regular ‘brunch on a plate’ style options. 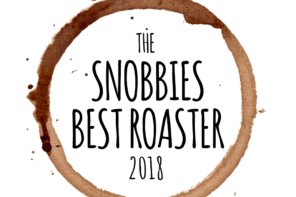 They serve their own coffee and are probably one of the best-known roasters in the whole country, scoring second in the 2017 best roasters of Vancouver list. Try: Their egg burger with bacon. The only cafe on the list that has baked beans on toast as a brunch item! If you’re not into that, you’ll find pulled pork, smoked salmon and granola… separately, not all together you fool. You can find brunch at any of their three locations across Vancouver. They roast their own coffee, so expect lighter, very high-quality drinks. Try: Their croissants, they’re utterly amazing. I’m a die-hard carnivore, so it’s a huge accolade for me to say that I really enjoy Olive and Ruby’s all vegetarian menu. Their tempeh avocado on toast beats most other bacon-avo combos in the city, whilst their acai bowls are the best I’ve ever tried, in any cafe, in any city. Their coffee is from Pallet Coffee Roasters, who won the 2017 coffee roaster of the year award. Try: Their acai bowls. 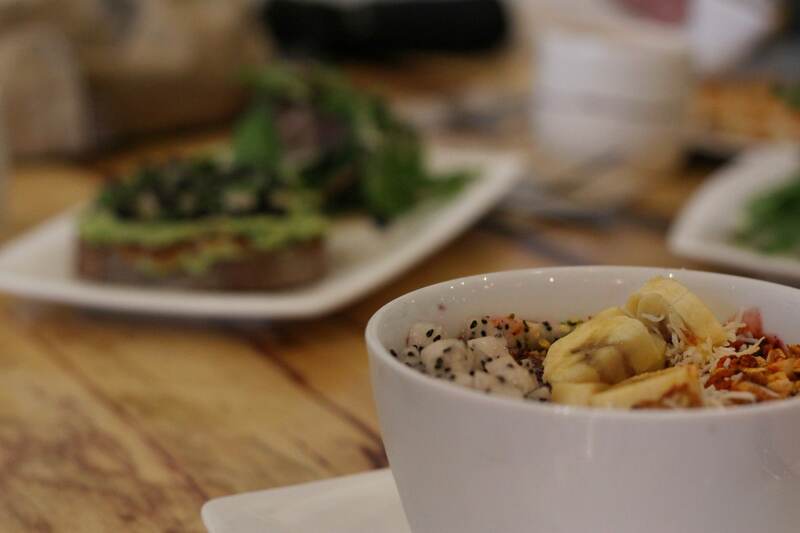 No, seriously, stop reading this and go get one of their acai bowls, it’ll change your life. Another Sammy Piccolo win in the top 10, with Prado, a series of cafes he’s designed specifically for the neighborhoods they’re located in. You’ll find breakfast sandwiches, all sorts of things on toast and waffles aplenty. Coffee is from the mighty 49th Parallel. Try: Their Nutella waffles followed by their power energy nut and seed cookie thingamagig. KAHVE take the award for ‘most visits from myself and The Missus for brunch in 2017’. Their smoked salmon avocado on toast is a visual and taste sensation, their breakfast sandwich is one of the best we’ve had (it’s got pear in it) and their new lettuce boats are perfect for those of you from Kits who insist on being slim and looking after yourself. Coffee is from Phil and Sebastian. 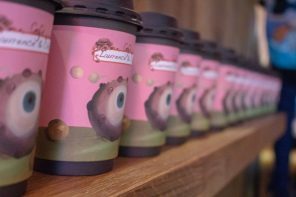 We loved KAHVE so much that we included it in our 2017 coffee shop tours. Try: Anything with avocado on it and wash it down with the best London Fog you’ll ever have in your life. 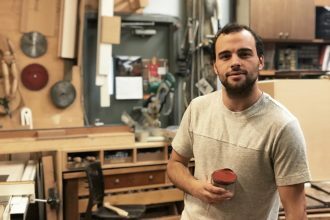 Not content with being the top of the 2017 best roasters of Vancouver list, Pallet takes a podium finish for their incredible brunch options, that include avocado on toast, croissants, build it yourself breakfast sandwiches, various sweets and a solid lineup of coffee that they roast themselves. 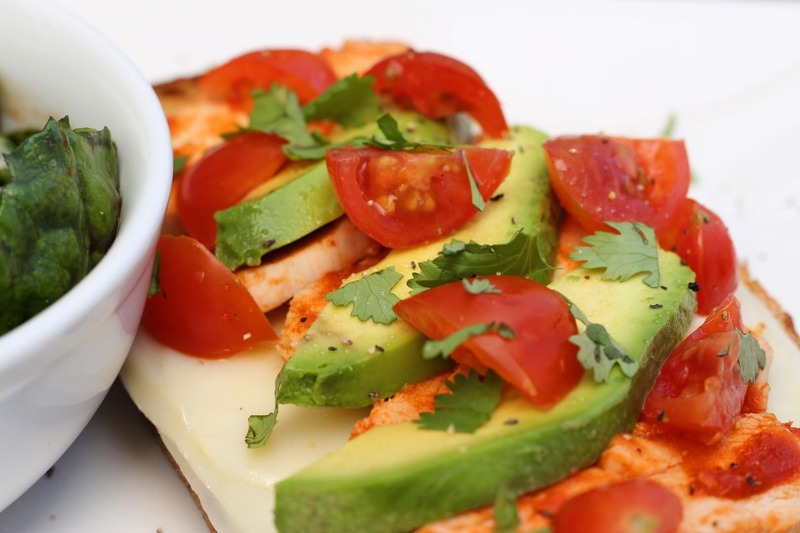 Try: Their open face chicken and avocado sandwich (pictured) and, if you’re lucky, a cup of their new Motive line coffee. Another coffee shop from our 2017 best roasters of Vancouver list, Bows & Arrows aren’t just a world class roaster, they have a small but ever-changing and intricate menu of extremely high-end choices for brunch, from eggs and bacon to breakfast sandwiches, along with a great selection of baked goods. Their light and fruity coffee is roasted in-house and has arguably the sexiest packaging in Vancouver. 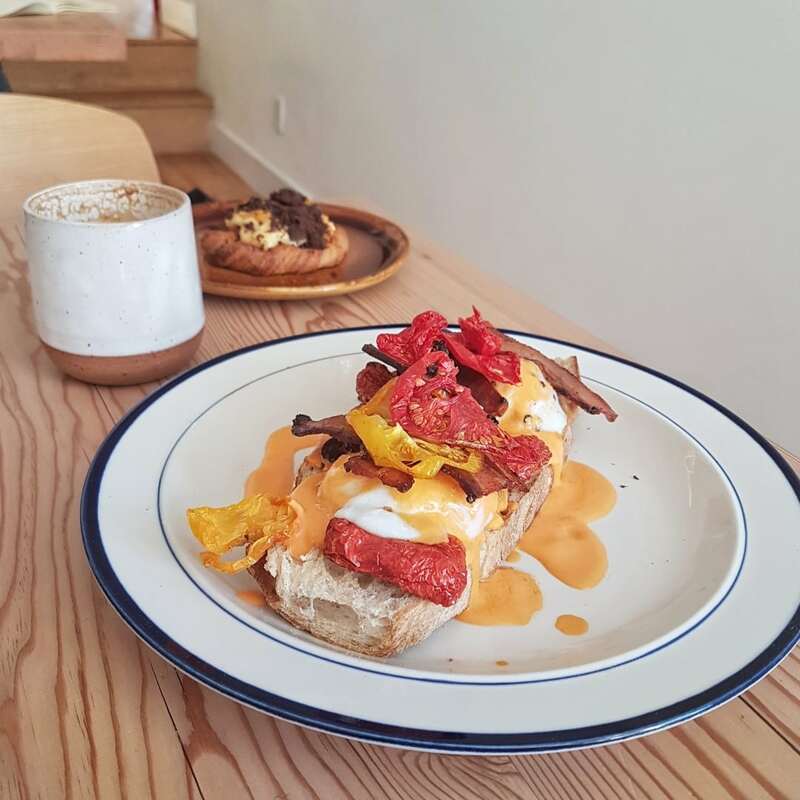 Try: Well their menu keeps changing, but hopefully you’ll get the chance to try the eggs and bacon with sundried tomatoes (pictured). Probably the most hyped opening of 2017, Nemesis very quickly secured its place as one of the best coffee shops to ever hit our city. So much so, in fact, that they’re nominated for a Sprudgie award for the best new global coffee shop (go vote for them now!). Nemesis has a Michelin class lineup of exceptionally high-end brunch options, from avocado on toast with ricotta and maple syrup to an exquisite mushroom on toast medley, one of the most epic sausage and egg breakfast sandwiches you’ll ever try and a coffee selection that includes only the best roasters on the planet. Nemesis is not only voted the best place for brunch in Vancouver, I genuinely believe it’s one of the best places for brunch on the planet. Try: Anything, honestly it will all blow your mind. If I had to pick one thing out, the mushrooms on toast amazed me with its simplicity and rich flavours…. but that bloody great big breakfast sando still visits me in my dreams. Think we’re wrong with our choice of the 10 best Vancouver brunch spots of 2017? Tell us in the comments below. Of course, there’s bugger all we can do about it, as this was a public poll with thousands of votes, but it’s always nice to vent.